I don't want any newcomer start learning ethical hacking , penetration testing by exploiting the real targets ( eg corporate network , or college network ) . I want you to play safe . With this kept in mind today i decided to create our own hacking labs , so each of you learn real ethical hacking in real ethical manner without broken any cyber law . 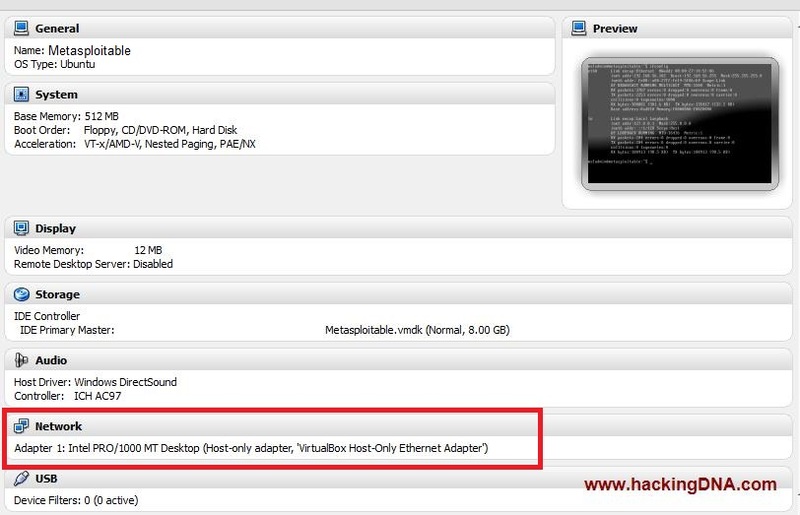 So our first HACKING LAB is simple , we only use 2 OS i.e KALI LINUX and METASPLOITABLE . Download your kali linux if you are downloaded yet . 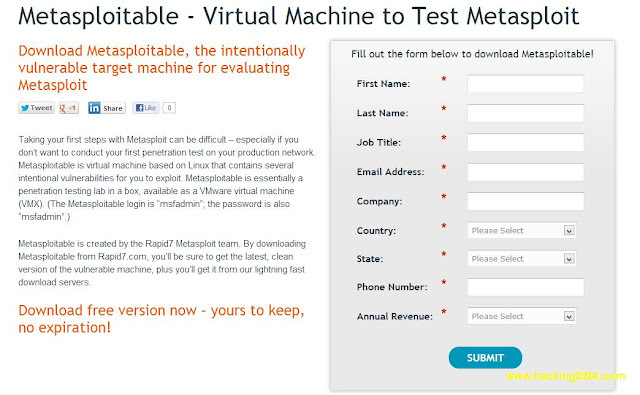 Also download metaploitable , Just fill the form and download it . After all your requirements fullfilled time to setup a lab . 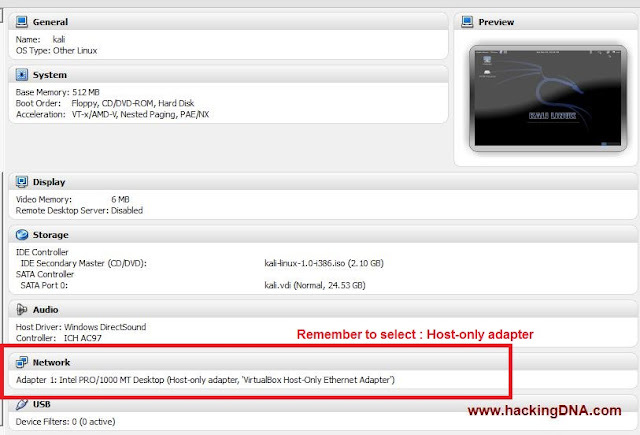 Select Network adapter as : Host only adapter . Rest of the installation is normal . Once you are done with settings , start both of your systems . I am loving it , KALI LINUX desktop view with its ip address 192.168.56.101. So our hacking lab 01 is ready . Now are you ready to test your penetration testing skills . Lets start with the simple scanning through KALI LINUX . 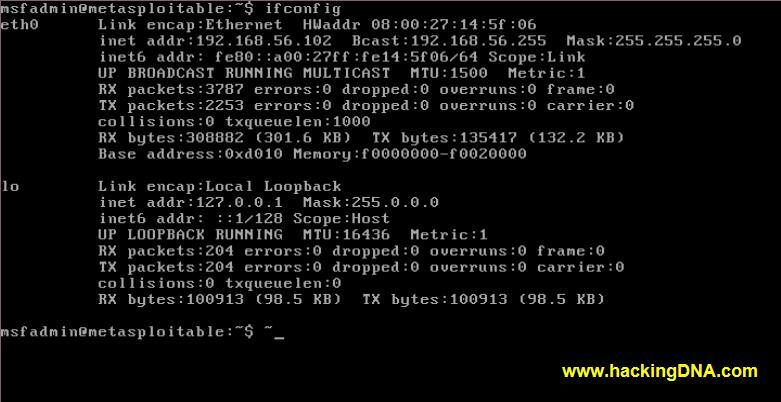 Perform a tcp connect scan . Wow !!! so many ports are open . Now explore www.hackingdna.com once again , perform different command , use msfconsole to exploit the vulnerabilities . Also try to learn how to access metasploitable through telnet . There are so many things you can do . Go through every tutorial of hackingdna and learn from it . I LEAVE THIS TUTORIAL HERE ,WANT YOU TO PARTICIPATE IN THIS TUTORIAL AND POST YOUR EXAMPLE SCREENSHOTS ON FACEBOOK .WAITING FOR YOUR SCREENSHOTS . REMEMBER : Self learning , practising help you to understand the subject . Post your examples screenshots on facebook hackingdna page and I upload it in this tutorial with your name . Keep following because lots of new tutorials still to come . Keep following us . Happy hacking . I fill email yahoo.com or gmail.com into Email, but error invalid email. What email can I use, please?